Everyone is still reeling from that amazing trailer for the second half of Star Wars Rebels Season Two that was released earlier today. 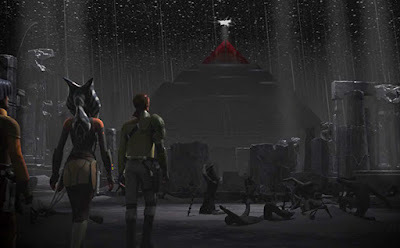 Entertainment Weekly caught up with Rebels executive producer Dave Filoni to break it all down. 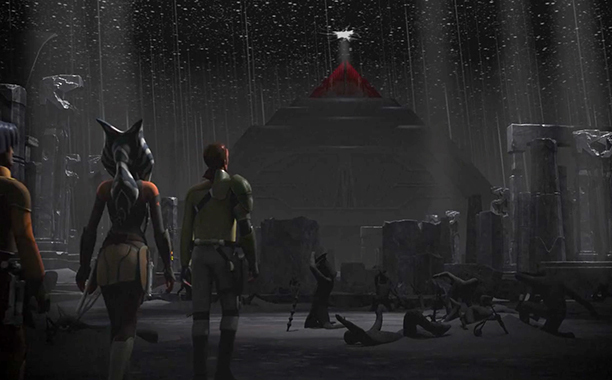 About that temple we see Kanan, Ahsoka, and Ezra approaching, Filoni told EW, "It is it is an ancient place. And it is a dangerous place and one that will challenge our characters. They come out the other side and are not the same." He adds, "This place would be well liked by the Sith, I’ll say that much." 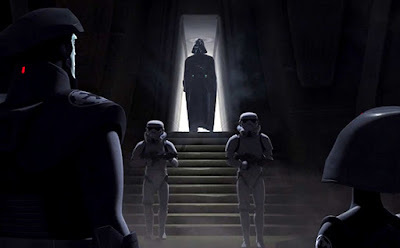 "Leia is technically a part of the Empire at this time. Her father is still working within the Senate, and she would be seen by the Imperials as someone who's more on their side. 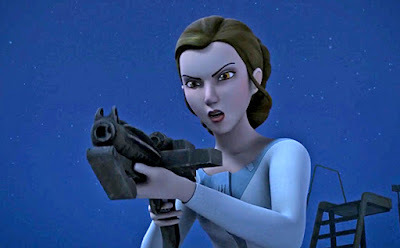 She can't just pick up a blaster, necessarily, and start shooting Stormtroopers like she did on the Death Star." "Vader and The Emperor think that if they can get Ahsoka she would be a key that leads them to other Jedi survivors," says Filoni, who says he plans to wrap up that storyline by the end of the season. "The Emperor has a most-wanted list. Yoda and Obi-Wan are right up there." 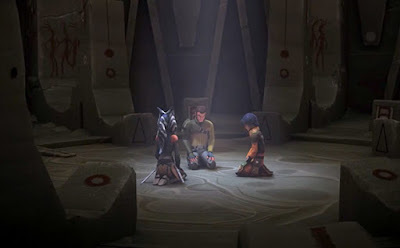 "It occurred to me that as Ezra had a Holocron because of Kanan. It had a recorded message from Obi-Wan Kenobi in there, so maybe one of the things, some of the lessens the Holocron was teaching, was how do you sword fight? And who would be better at teaching that than the great Anakin Skywalker?" He also confirmed that it was indeed Matt Lanter, who provided Anakin's voice on Star Wars: The Clone Wars, who voices Anakin this season (don't worry, James Earl Jones is still voicing Vader). 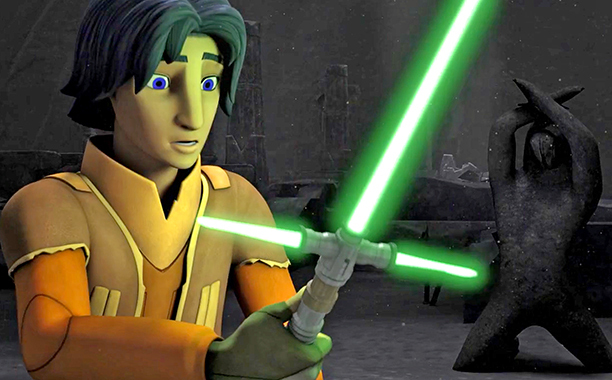 Filoni said, "It makes it actually very emotional since we loved working with Matt. So it was a fun day in the studio." "That’s part of the mystery, part of the fun. There will be so much more to talk about once this stuff is out. Star Wars fans are brilliant about running with stuff. Give them a tiny little kernel and they will run all the way to the finish line and practically produce a whole trilogy in their minds. That’s why I love them. They’re a creative group." "For anybody in Star Wars, I think one of the questions you’re going to get asked is 'Is that Snoke?' It's one of the mysteries right now. So, anybody could be seen as Snoke. Maybe Chopper’s Snoke, you know, and his hard drive gets uploaded into the mind of an organic being. Chopper seems kind of evil at times." 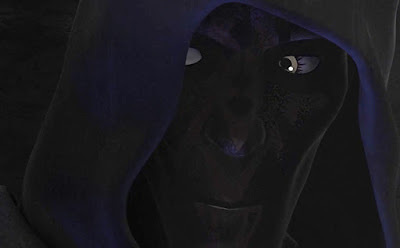 He also confirmed that this character is one of several old Jedi Temple guards we saw in The Clone Wars that will appear this season. But they will be battling both our heroes and the Dark Side Inquisitors. This will apparently have a big impact on Kanan. 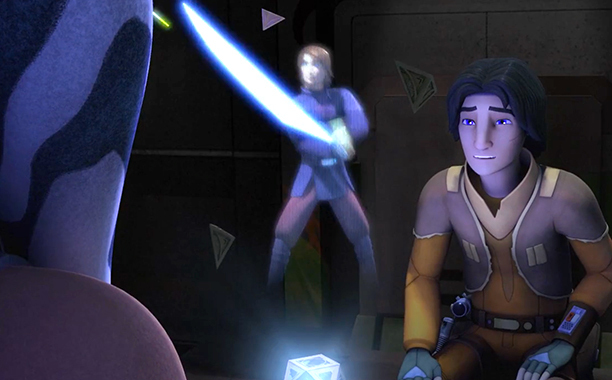 Filoni told EW, "I will say that it plays very strongly into Kanan’s character and who he is, and becomes an important moment for him." "People have been very excited about Sabine, and we wanted to get more into her background, and her history and her family history, and [actress Tiya Sircar] has done a great job at evolving the character. So there will be some episodes which dive back into the Mandalorian realm and show a couple new things about them that perhaps fans didn’t know. 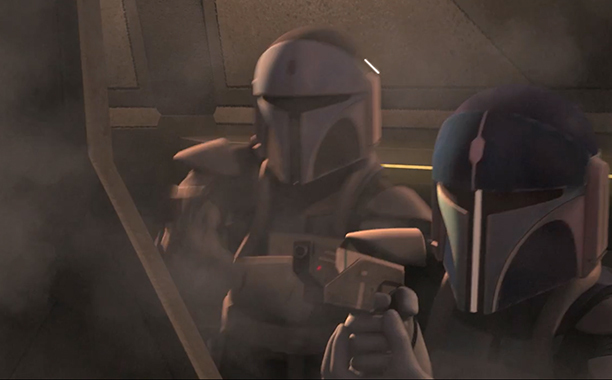 I think it opens up the door for more Mandalorian madness in the future." "Even if they guess right about everything they think they’re seeing, they won’t know how it comes together, which really becomes the fun part for me. So if you’re guessing right and the character is who you think it is, it still doesn’t answer: what in the world is that character up to?" 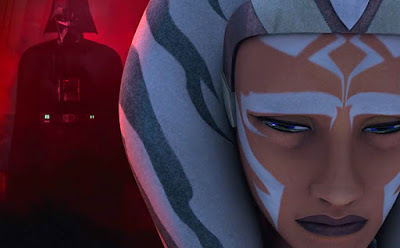 You can see more stills from the trailer and read more of Filoni's teases about the rest of Season Two over at Entertainment Weekly! Amazing trailer,with intriguing plot lines,however one thing that bothers me a lot(two rather),why did they fell the need to have a "nod" to force aweakens with that green lightsaber.It makes no sense,since we all can agree that Kylo made that saver and that saber was not perfectly functional and its his signature feature.I mean I just don't get it.And second,why in the world you would just make Yoda that way...I was looking at it and could not believe that hey went in that direction.I get the fact that they want to have a different feel then Clone Wars,but still.Thoughts? 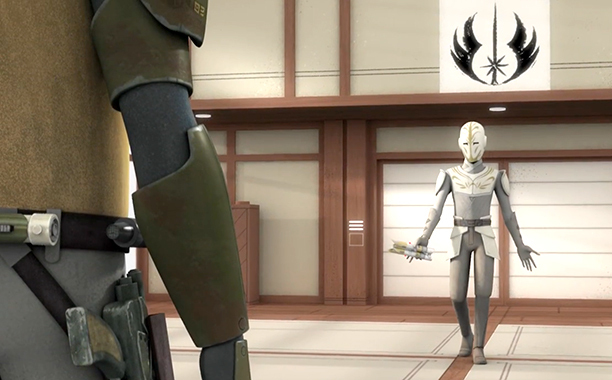 Well, it's already been confirmed that Ren's saber was based, in universe, on an ancient saber design. So there are other sabers out there with the design, they're just rare. I'm more intrigued by the third Inquisitor seen at 1.11 and 2.42. I think you are precisely right. I was satisfied recently when I caught one of our understudies say, "I like it here in light of the fact that your not a pack of eggheads." We certainly enlist coaches who can add to a positive affinity with the student.Nice to peruse that such preparing focuses are the spot to be, on the grounds that as a general rule, most understudies don't fit the configuration of training. Particularly now in the computerized time, schools require new ways to deal with training. A debt of gratitude is in order for the article.